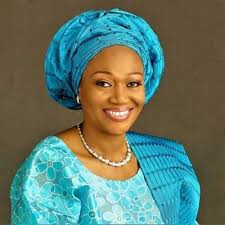 The Returning Officer, Prof. Oyeyemi Oyedola, said Mrs Tinubu who ran for the election on the platform of the APC, polled a total of 131,735 votes while her main rival, Onitiri David of the Peoples Democratic Party (PDP) polled 89,107 votes. “l, Professor Oyeyemi Elijah Oyedola, hereby certify that as the retuning officer, Lagos Central Senatorial District with the election held on 23 of February, 2019 that the election was contested among 14 candidates. I declare that Tinubu Oluremi Shade of the APC has satisfied the requirements of law and scoring the highest number of votes, hereby declared the winner and returned elected having polled 131,735 votes'' the returning officer said.